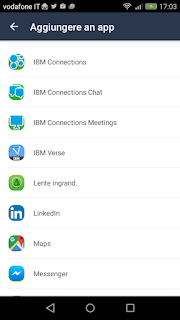 One of the FAQ about IBM Verse on mobile is if we can have multi account on Android and iOS devices. 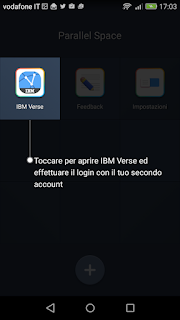 On iOS you can workaround this issue configuring one account inside IBM Verse and the others inside the apple client but on Android alternative mail client are not supported and usually isn't completely working. 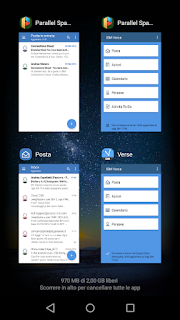 Today reading some blogs I've found an app named Parallel Space available for free on Google Play store that is able to build virtualized and isolated environment that are able to runs multiple instance of the apps. I've tried that with IBM Verse and it works ! Here the link to install Parallel Space from Google playstore. 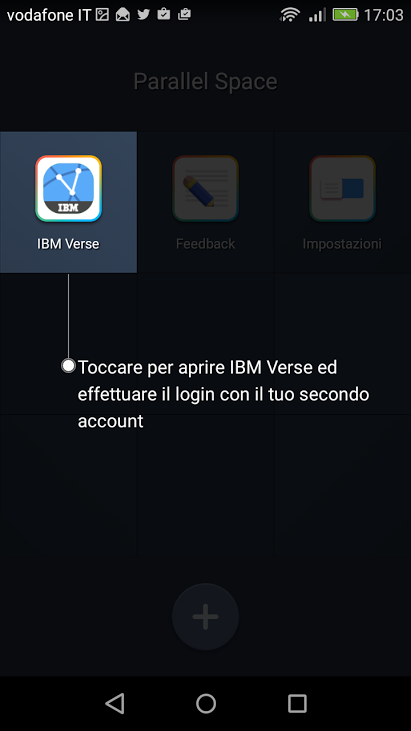 A new configuration will start and after that you will be able to runs multiple Verse instance on your smartphone. See the screenshot from my multitasking, one with official icon and another one with parallel space icon. I make some try and it appears to works fine ! Push notification appear to woks too but sometimes i saw the virtualized app disconnected. After a manual sync the mail was downloaded correctly. I will test this configuration in next days, if the issue on push notification will be confirmed a possible workaround could be set a server side notification from secondary account to the primary. 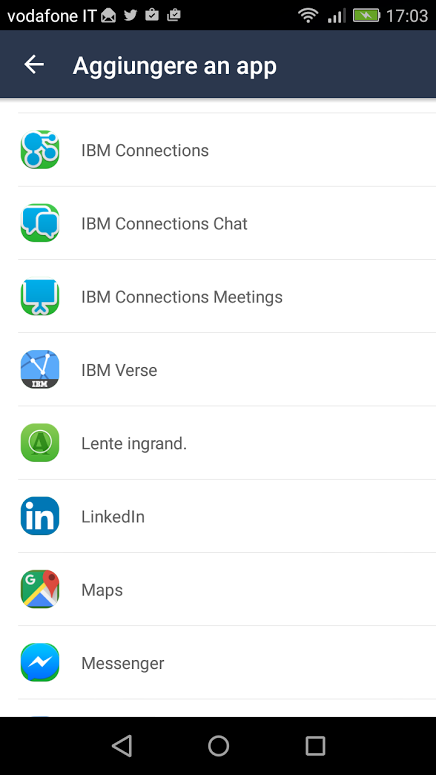 Don't get me wrong - but this is just one of the many Design flaws in IBM Verse on Android. Virtualize to use more than one account, are you kidding me ?! BlackBerry was able to deal with this ages ago. Design thinking ? What a joke. I wanted to try this but the app said it was not compatible with my device - a Samsung Galaxy tab 7 with all current updates.